SPOTSWOOD, New Jersey (WABC) -- There was a special honor for the newest and youngest police officer in New Jersey. Trent Powers is only 2 years old. He battles Duchenne muscular dystrophy which is very rare and can be deadly. 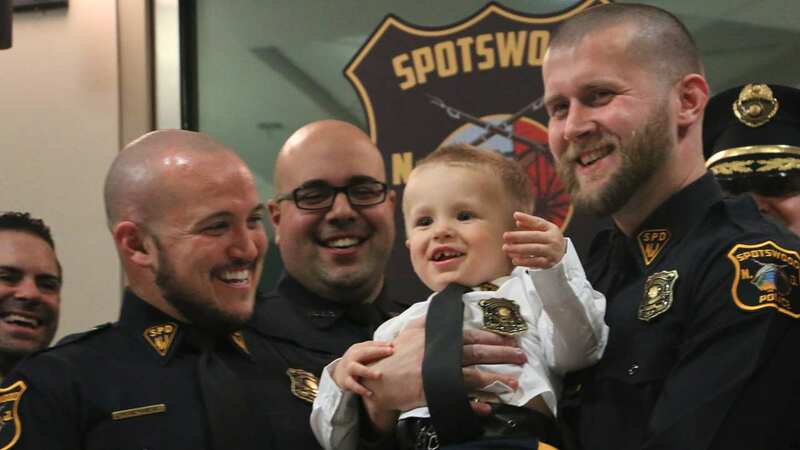 But Wednesday he was all smiles as he became an honorary member of the Spotswood Police Department. Not only did Trent get a uniform, he got his own pint-size police car. The PBA also gave the Powers family a check for $3,000.